Dental Bridges, Dental Crowns At Bangkok Inter Dental on Sukhumvit Road. If your teeth become badly damaged, a dental crown can be an effective treatment option. The dental crown procedure utilizes tooth-shaped coverings made of metal, ceramic, or porcelain to improve the appearance, restore the strength and eliminate the discomfort. 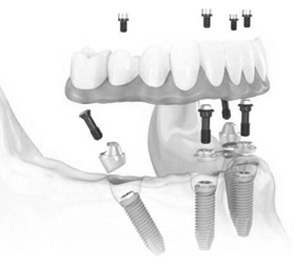 In addition, dental crowns may be used to anchor a dental bridges or to cap a dental implant post. We excel with our materials, technology, tooth compatibility and quality of aesthetics. 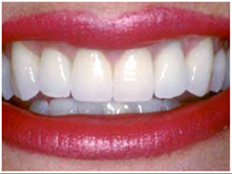 All ceramic crowns are made of porcelain or dental ceramic materials. They create an extremely natural-looking appearance and are typically used on front teeth. The tooth-colored ceramic material is translucent, like the enamel of your natural teeth, and the size and shade can be carefully matched to complement the rest of your smile. All porcelain crowns will make your new tooth both strong and beautiful. This tissue friendly porcelain crown recreates the strength and natural beauty of your teeth. Due to the strength in the modified core material, all porcelain crowns are suitable for prosthetic reconstructions anywhere in the mouth. In addition, more and more patients are asking for constructions made of materials not containing metal or other alloys. 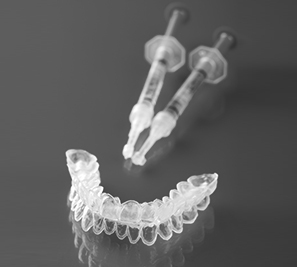 All porcelain crowns are made of a biocompatible material which minimizes the risk of allergic reactions. 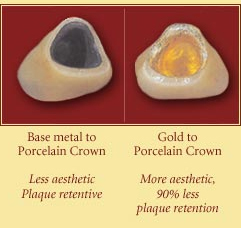 Porcelain fused to metal dental crowns are a hybrid between all-metal crown and all porcelain crown. When being manufactured, our dental technicians will make a shell of metal (substructure) that is custom fitted for your affected tooth. A veneer of porcelain is then fused over this metal, giving the crown a white tooth-like appearance. Porcelain fused to metal crowns has the advantages of having a nearly natural appearance from the porcelain, and the strength and stability provided by the underlying metal. Porcelain fused to metal dental crowns is believed to be stronger than the all porcelain crowns but are more prone to fracture than an all-metal dental crown. Zirconia crowns Zirconium (Zr. AN-40) is a naturally occurring substance first discovered on the island of Ceylon, present day Sri Lanka. It was soon found to be immensely strong and durable. It’s strength and durability is such that it has even been used in lunar space vehicles, testament to the unique qualities of Zirconium. At BANGKOK SMILE DENTAL CLINIC @ Sukhumvit 5 we utilize this incredible gift from earth to create for you, our clients, the very best in dental crowns. Zirconia crowns and bridges are so strong they can be used anywhere in the mouth. Zirconia crowns can withstand the biting pressure of the front teeth as well as back teeth grinding. The look of zirconia crowns and bridges is so close to natural teeth that it is hard to tell the difference and it is this quality which makes it very useable within dental work and Zirconia crowns can be fixed using traditional dental cements. 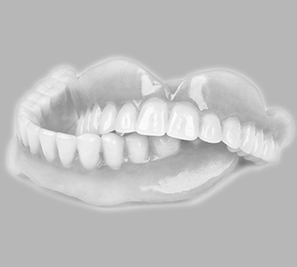 Our Zirconia crowns make use of CAD/CAM technology which provides a precise and excellent fit. In areas where cosmetic is a serious concern, porcelain is merged on the outside of Zirconia crowns for the most esthetically pleasing outcome. Zirconia gives the strength while the porcelain gives natural-looking appearance. Zirconia has quickly become the preferred material for dental crowns. Zirconia is a very strong substance that can endure the wear and tear of everyday use. When looking at Zirconia crowns from an aesthetic point, they are clear and very similar to natural teeth and reflect light in the same way. This may be important if your new crowns are at the front of your mouth and it is particularly relevant in cases where the crown will be seen next to the natural teeth. Zirconia crowns allow light to pass as a normal tooth would and that gives a natural look, unlike other metal cores that block the light. Typically, the dental crown procedure is completed in two stages. During the first stage, we will prepare your natural tooth's structure to accommodate the dental crown. Surrounding teeth may also be prepared in this way. An impression is made and sent to the lab, where your dental crown is created in about 5-7 days. A temporary crown will be in place between visits to ensure the most natural look and feel. When you return to the dentist's office, the temporary crown is removed and your new, custom dental crown is securely bonded in place. 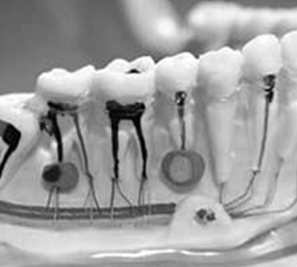 For some patients, the dental crown procedure is altered to meet specific goals or desires. For example, if crowns are being utilized to anchor a dental bridges or as a dental implant, the steps in the dental crown procedure will be slightly different. Also, teeth with extensive damage may require that a root canal be performed prior to placing the crown. A consultation with your dentist can help you better understand the unique steps in your dental crown procedure. Individuals may be interested in replacing old dental crowns for a number of reasons. Concerns about the appearance of metal crowns on prominent teeth may compel some patients to have their dental work restored with all ceramic or porcelain crowns. Some clients may be experiencing dental crown problems, like wear, decay, or a poor fit which may lead clients to inquire about replacing older dental crowns. Typically, patients should expect to replace their dental crowns after approximately 8-10 years. Dental crown requires the same regular and consistent home and professional dental care, as your natural teeth to prevent decay at the tooth-dental crown junction. The life span of a crown depends on the dentist's skill, the quality of material used, your maintenance and the amount of "wear and tear" the crown is exposed to, how well you follow good oral hygiene practices, and your personal mouth-related habits. Habits such as grinding or clenching your teeth, chewing ice, biting your fingernails and using your teeth to open packaging puts greater wear and tear on the crown. On average in general, dental crowns last between 5 and 10 years. With usual care, hygiene and common sense you will have many years of service from your crowns and with the backup of our Clinic of Excellence You can lead a confident and care free life and enjoy your perfect smile. Visit us at BANGKOK SMILE DENTAL CLINIC @ Sukhumvit 5 and the route to your perfect smile will begin, with our skill and expertise the route is smooth, friendly, unobtrusive and dramatic. Our experts are the most highly trained in Thailand, our equipment and techniques are the most up to date available. The smooth cohesion of all these factors means there is no better quality and financially comparable experience available anywhere. Our clients are led by our incomparable reputation, we are led by our clients satisfaction and desires. Whichever choice of dental crowns you make you can be sure that our Clinic of Excellence with our expert, highly trained dentists coupled with our efficient use of the most up to day technology the results will fulfill your expectations and improve your life immeasurably. 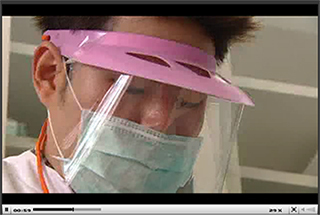 Only at BANGKOK SMILE DENTAL CLINIC @ Sukhumvit 5, Med Asia Building will you find this supreme level of satisfaction.